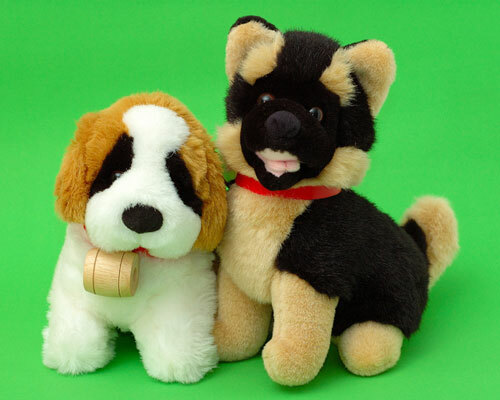 Two plush toys are photographed on a green background. The white and tan dog has a barrel around its neck, indicating it is a Saint Bernard. The black and tan dog wears a red collar. Both plush dogs would make excellent companions for a young child.